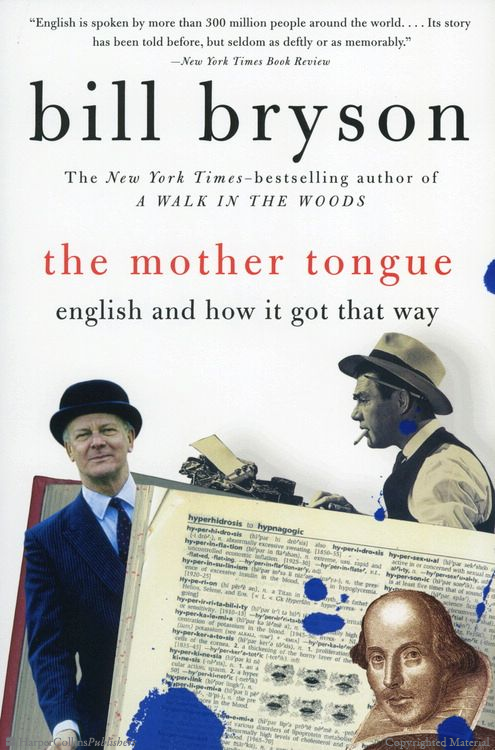 For those of you who might have a bit of Christmas money left over and are still searching for something entertaining to spend it on, then look no further than Bill Bryson’s ‘Mother Tongue’. It’s a great little book which not only explains how the English language was formed, but how it’s used today and adopted by countries right around the globe. As well as sections looking at why spelling is something of a minefield (‘weight’ versus ‘wait’ or ‘aisle’ versus ‘I’ll’), and why pronunciation can be a nightmare (‘knight’ and ‘bomb’ anyone? ), it’s full of quirky facts which will leave you amazed. For example, were you aware there are more people studying English in China than there are living in America? But perhaps the best chapter is the one dedicated to word games. In it Bryson gives us some of his favourite palindromes – a sentence spelled the same way both forwards and backwards. Here are three below, but check some out online… there are more than you think!